The boom in nut prices in recent years is expected to continue as consumers opt for healthier foods. This has increasingly led to farmers replacing their crops with nut trees. 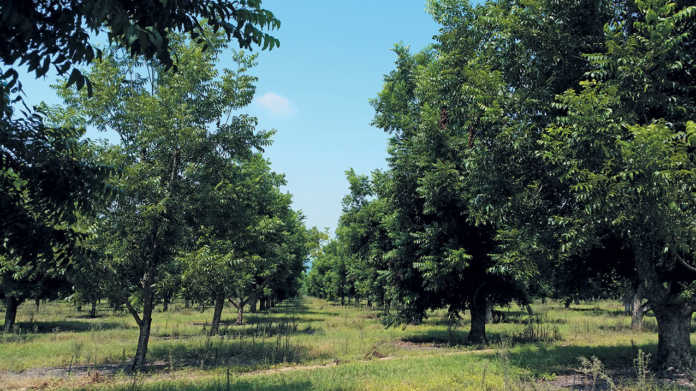 While pecan farming can be a lucrative venture, aspiring nut growers must begin with a solid foundation, says Shane Eva, farm manager for Halls and Sons. Pecan trees in this block at Halls and Sons have been heavily pruned to reduce their size to allow for better sunlight penetration. This has resulted in an increase in yield from these trees. Pecan nut farming is a long-term investment, dependent on the producer making the correct choices early on in the business. This is according to Shane Eva, farm manager for Halls and Sons in Mbombela, Mpumalanga. Halls grows, packs and markets subtropical fruit, including avocado, mango, litchi and pecan nuts. Shane says that choosing the right location, cultivar and land preparation technique are crucial to ensure orchards function optimally from the start, and that the return on investment is maximised. Pecan trees need 285 days a year for growing, with warm nights. The crop can handle frost, as the cold ensures the tree goes into complete dormancy, which ensures even growth in spring. Orchards expected to bear fruit for multiple generations require a perfect starting foundation; any shortcuts taken in the beginning could cost the farmer for years to come. Shane says that thorough land preparation and consistency are crucial. Hiring land preparation equipment, excluding fuel, costs about R2 200/ha for a bulldozer single rip, and around R1 500/ha for a tractor disc. The soil should be deep and well drained to hold air, water and nutrients. While pecan trees can grow in shallow soil, the soil should be between at least 90cm and 100cm deep for commercial production, and preferably even deeper. Pecans are planted at a spacing of 10m x 10m, resulting in 100 trees/ha at a cost of about R28 000/ha for the trees. Shane says that some farmers plant at a higher density initially, and then thin out once the trees have reached full maturity, which allows greater yield in the years before the trees reach full maturity. However, the cost involved with planting the extra trees and then later removing them is not efficient, says Shane. 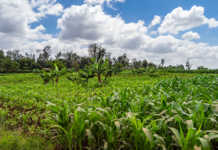 Lowveld farmers have an advantage, as irrigation is not essential; trees require around 50mm of water per week for a 1,2t/ha yield on mature trees. Farmers in drier areas, however, will need irrigation systems, which could cost up to R55 000/ha. This brings the total cost for establishing a pecan orchard to about R86 700/ha, excluding labour. The amount of rainfall experienced in the region is important to consider when selecting the right cultivar. “This will determine if you’re going to plant scab-tolerant varieties or not. Some cultivars have higher potential yield, but are not resistant to scab,” Shane says. 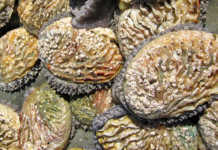 High-humidity areas such as Mbombela are susceptible to scab, which requires that farmers invest intolerant varieties such as Apalachee, Western, Caddo, Ukalinga and Lakota. Farmers considering nut farming must order trees timeously as there is currently a scarcity in plant material on the market, says Shane. Trees are ordered by cultivar; nurseries then propagate accordingly. Albert Bouwmeester, deputy chairperson for the South African Pecan Producers’ Association (SAPPA) in Mpumalanga, says farmers must source quality trees. 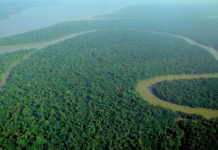 “For the past decade, there’s been a shortage of trees. As a result, so many new nurseries have popped up that are not accredited with SAPPA or familiar with the nuances of the industry,” he says. Before placing an order, farmers should visit a few nurseries to see how they manage their trees, he says. The farmer should ask where the nursery gets its rootstock, and whether it can guarantee that the variety is pure. The farmer should also ensure that the nursery is registered with the department of agriculture. Once the trees have been planted, the focus should be on food and water. At this young age, says Shane, roots and leaves matter more than fruit. Phosphates are essential to promote root growth and stimulate the plant to produce active root hairs, which eventually become feeder roots. In this regard, soil and leaf analyses could help farmers determine what their trees need. Shane adds nitrogen and phosphates to the soil based on these analyses, as the rate differs from one block to the next. A crop protection programme is crucial to ensure maximum growth and crop health. “The protection programme is different for every region, but in Mbombela we have to scout for false coddling moth, coconut bug and stinkbugs,” says Shane. Keep trees pruned to a manageable height, he advises. Harvesting takes place from May to July. Pecans are shaken off the trees mechanically and collected by labourers. “Farms are slowly starting to mechanise, but the cost of the machinery is still quite prohibitive,” says Shane. However, as mechanisation increases in the industry, economies of scale will make the machines cheaper to import, he adds. One of the biggest challenges facing potential pecan farmers is the long wait for a return on investment. It takes six to eight years for a tree to start producing, and around 10 years until a farmer can start turning a profit. Finding enough land is also problematic, as the trees are very widely spaced. Alternate bearing is a given with fruit trees, but Albert explains that, with proper management, extreme differences in yield from one year to the next can be reduced. This involves reducing the yield in an ‘on’ year so that the tree has extra reserves for an ‘off’ year. “Halfway through the season, a percentage of the nuts on the tree can be taken off,” he explains. Yields on pecan trees differ from region to region, with Mpumalanga achieving the lowest yields of around 1,5t/ha to 2,5t/ha. The drier areas in the Northern Cape achieve around 3t/ha to 5t/ha. This area also tends to produce bigger nuts, which result in higher prices. The average nut-in-shell (NIS) price paid to farmers is R70/kg to R80/kg, with larger nuts from the hotter, drier regions fetching above R80/kg. South Africa exports 80% of its crop NIS. Another 10% is processed and exported as kernels, with the remaining 10% processed for the local market. NIS is preferred by farmers as they don’t have to pay for processing costs, says Shane. Shells from processed kernels are used as mulch in the orchards. The pecan price is expected to increase in the future, but this is largely dependent on stimulating demand. According to Albert, global production is expected to increase drastically in the next five to 10 years due to the growth in plantings. “The Americans have spent a lot on expanding the market for pecans, which is something we’ll have to do here, as well as to ensure we have demand for the increased supply,” he says. He advises farmers to do their homework thoroughly before embarking on nut farming. “It’s an expensive and long-term investment. If done properly, it could ensure an income for many generations to come. In the US there are productive orchards over 100 years old,” he says. Email Albert Bouwmeester at [email protected], or Shane Eva at [email protected].